A Nelson man will appear in court today to face charges over alleged terror offences. Husnain Rashid (31) stands accused of helping would-be terrorists prepare attacks, including by sharing a photo of Prince George and his school address on social media. He allegedly made the post about the four-year-old prince on messaging app Telegram, along with other posts which allegedly could help others identify UK targets such as stadiums. He will appear at Woolwich Crown Court today to enter a plea. Prosecutors at Westminster Magistrates' Court in December also alleged that he planned to travel to Syria to join Islamic State as the militant group fights to retain a foothold in the country. Rashid is charged with one count of preparing acts of terrorism and one count of assisting others to prepare acts of terrorism. The two offences fall under Section 5 of the Terrorism Act (engaging in conduct in preparation for terrorist acts). 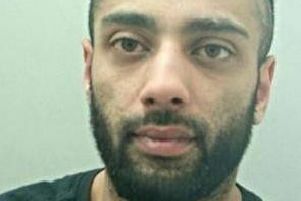 The British national, of Leonard Street, Nelson, was arrested on Wednesday November 22nd by officers from Lancashire Police and Counter Terrorism Policing.